Khaki vs. Chino – Which Came First? Pretty run of the mill stuff, right? I am willing to bet that I am not the only guy who was left scratching their heads. 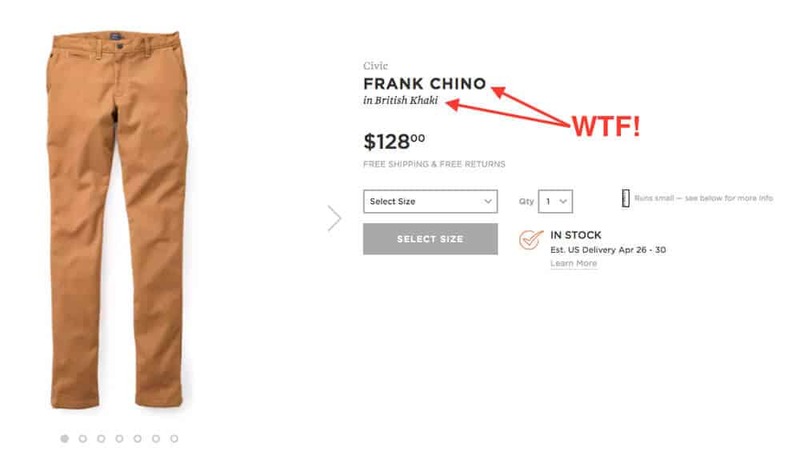 If a chino can be in British Khaki (I am guessing this is inferring the color), surely there needs to be some sort of design guidelines when it comes to categorizing a chino vs. khaki right?! 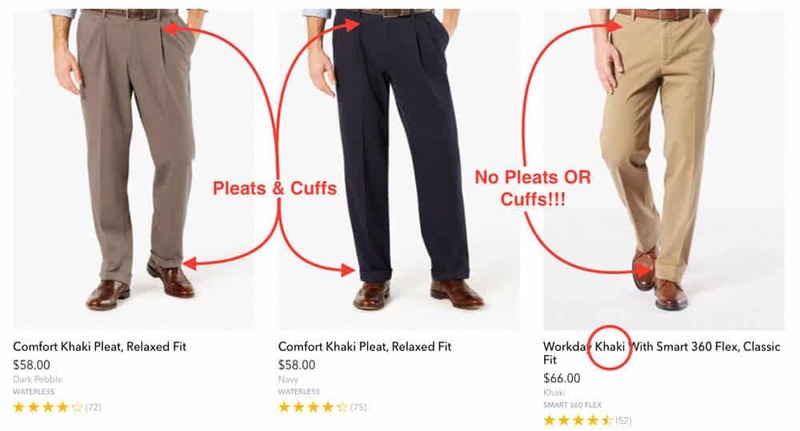 I need to research the hell out of this and write up a guide for you – cause I am guessing you are looking to learn the difference between a chino and khaki as well. …which actually was a bit surprising. 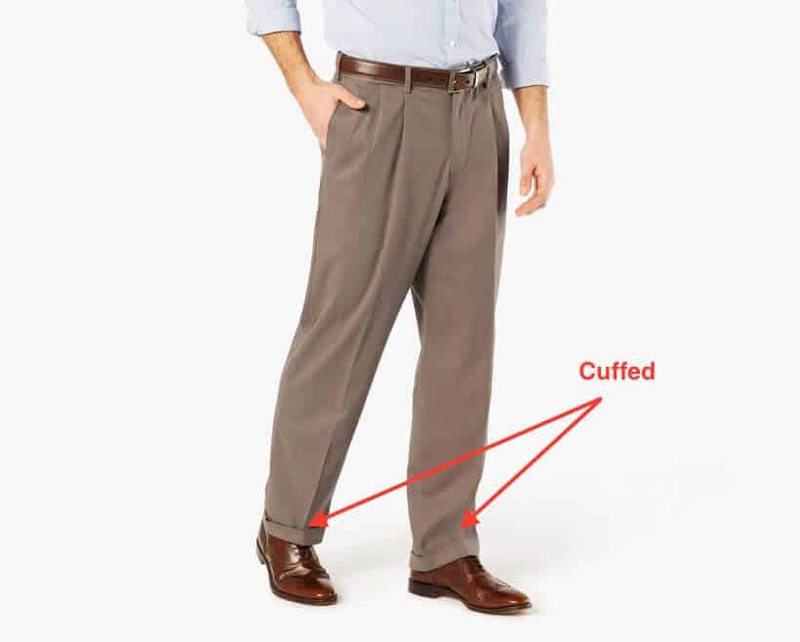 When looking at khakis a bit closer (which we will go over in just a minute), you will notice that they are slightly more intricate and will often feature a pleat. Not only will this require more fabric, but a larger level of craftsmanship. 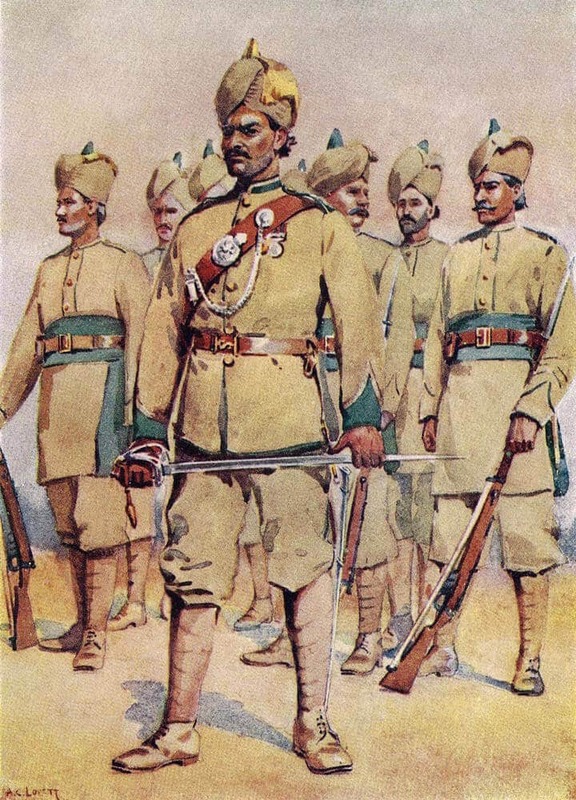 For the history buffs out here, the first khakis were worn by the Corps of Guides in December of 1848 at Peshawar, Punjab (Northern India). …and this makes sense given the word’s origin. Khaki is borrowed from the Persian word of khâk, which literally means soil or dust. 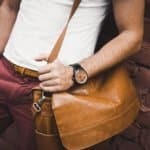 While khaki is not only a form of pants, but by its very origin, it referred more to the color than anything else (and the reason why we may see the color of khaki on a pair of chinos). 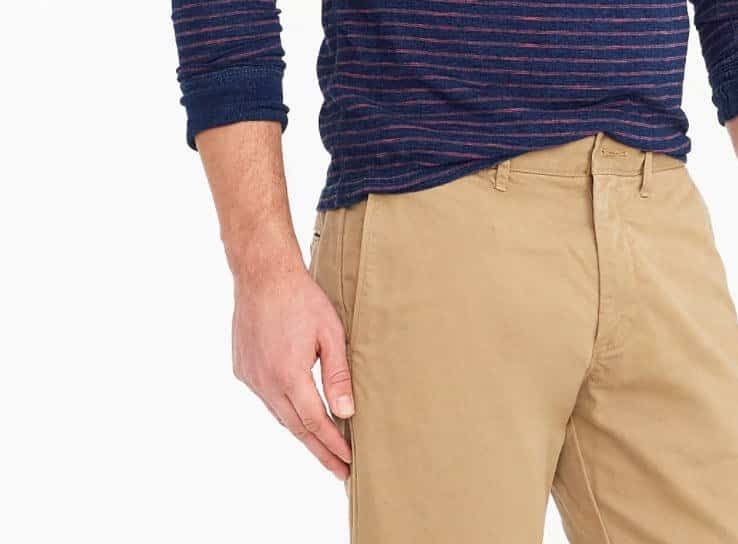 So, all of this about the khaki pant is great, but where to chinos come into play? Like khakis, chinos root their history in military as well, but just a few years later in 1898. First coming about in the Spanish-American war, the troops that wore chinos were based in the Philippines. 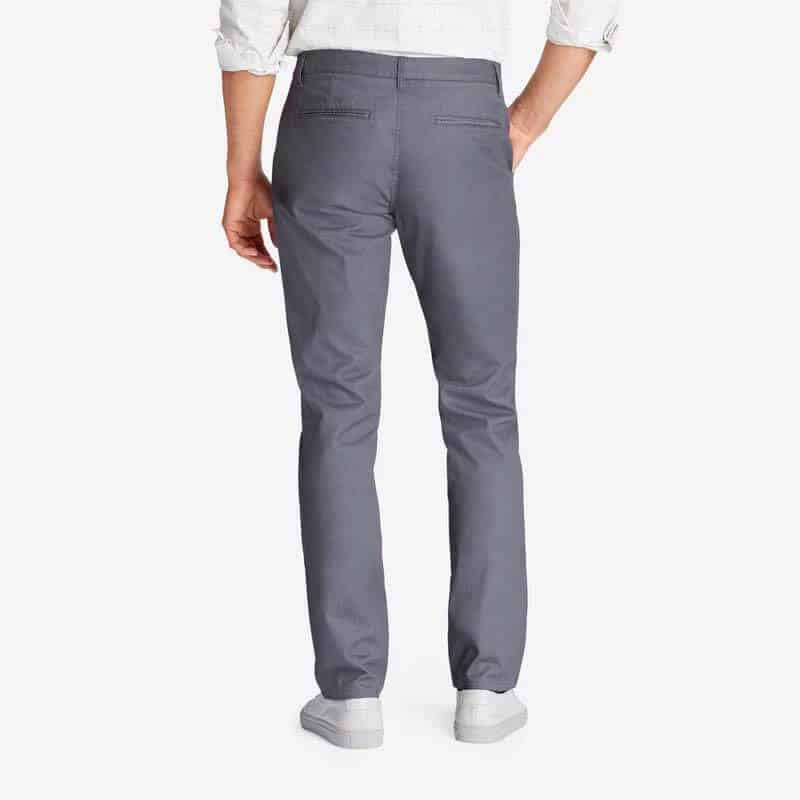 Looking for a light (both in weight and color), comfortable, and functional fabric based on 100% cotton twill – the chino checked all those boxes. The pants that the troops were wearing in the Philippines were made in China (pantalones chinos). Of course, like everything American, we shortened it to just simply chinos. So now that we know the origin of the chino and khaki pants, let’s take a quick look at their designs aesthetics. One of the big caveats to the fashion world, for better or worse, is that there is no governing body when it comes to labeling. 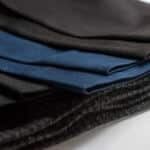 But to try and make things a bit clearer, here’s what you will typically see with either a khaki or chino. 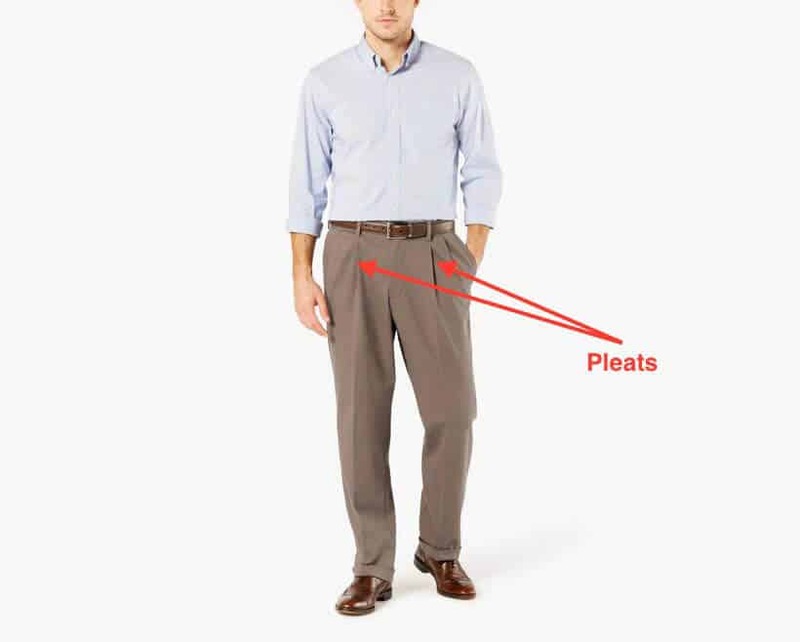 As we eluded to earlier, khakis often will feature a pleat on the front of the pant (but not always). Whether it’s a single or double pleat, they are a common feature. It bears repeating that these are generalizations – and manufacturers may stretch the rule of what is classically considered a khaki. Now you might be wondering, when are khakis to be worn? On the whole – khakis are a bit less formal when compared to the chino. For most men who work in an office environment, the khaki trouser should be acceptable as it can go with either a dress shirt or polo. Of the two trousers, chinos tend to be a bit more popular of the two as they seem to be a fair bit trendier while still also evoking a timeless feel. Featuring a much slimmer leg and a tapered cut, the chino is an extremely versatile pant that can be easily dressed up or down. 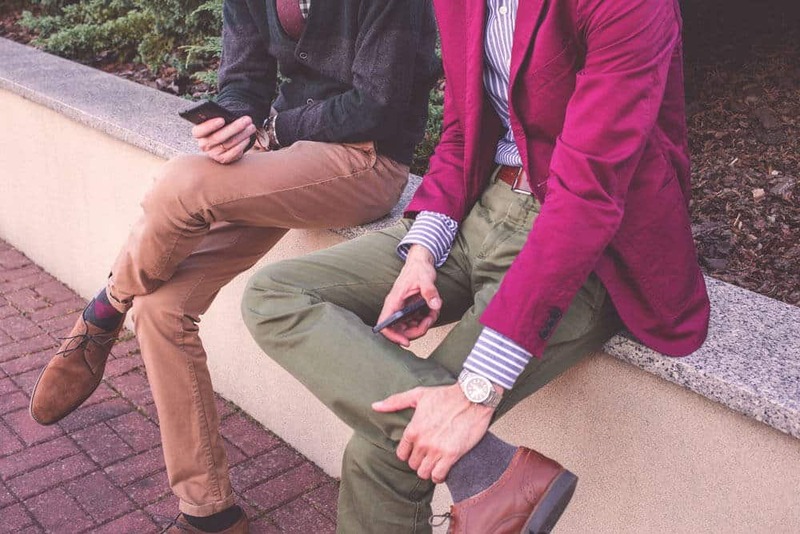 Featuring a wide array of colors, chinos are definitely a trouser you can have fun with and one you will want to make sure that you have as a staple in your wardrobe. As you may have noticed, that beyond just having a tapered or slimmer leg, chinos nearly always have a flat front (as opposed to pleats). …and it’s a common question for a lot of men I found! 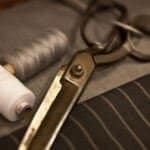 When you take a look at the label (or even product descriptions when shopping) you are going to find that both the khaki and chinos will often always come from 100% cotton twill. 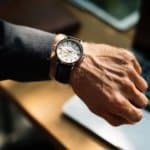 This not only makes it much more breathable, great for just about any occasion, but will wear incredibly well with time. 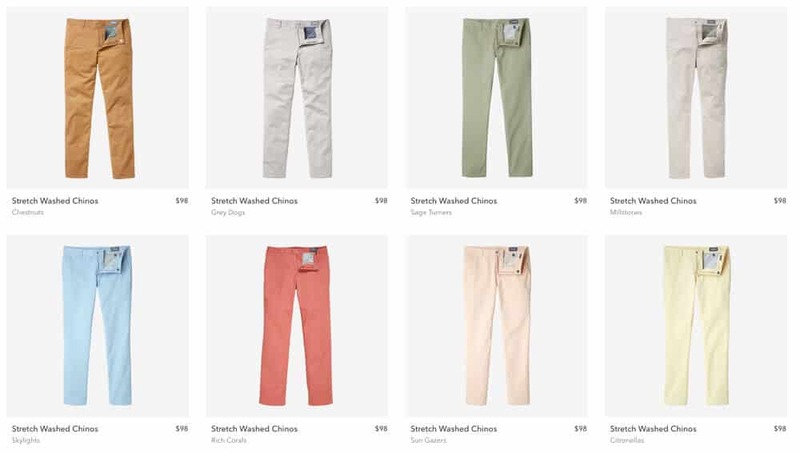 Now, if you are looking for summer time clothes, chinos will often be the better pick of the two. While they feature quite a selection when it comes to colors, the weight of the cotton will often be lighter. 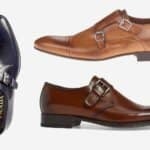 However, to ensure that you are sweating too much when walking about, be sure to check to see if the menswear company you plan on purchasing your next pair from has a Summer line – chances are that they do. If so, these chinos will be much better suited for the dog days of summer. 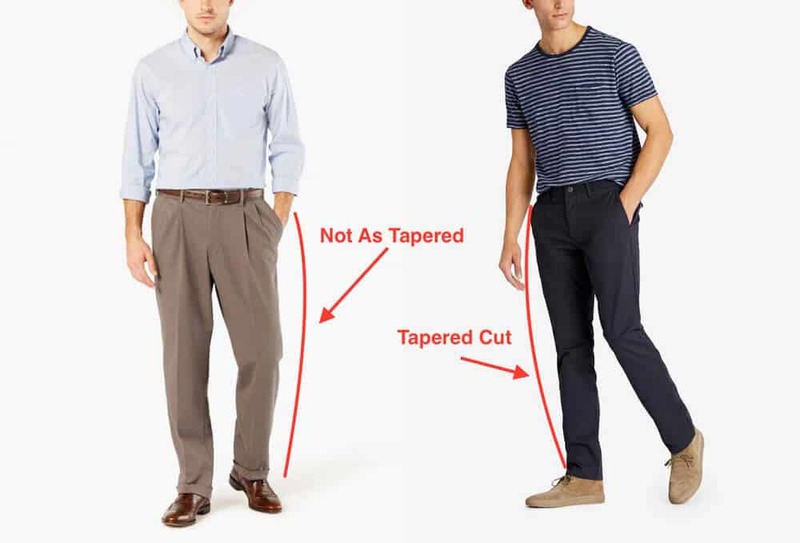 Whether you are a khaki or chino guy, you know a bit more about the two pants and their subtle differences. We hope that the guide above will get you started in the right direction on your next pair of trousers. Of course, if you have any questions, feel free to drop a line in the comment box below!